An opportunity for a new residential project in the eastern Melbourne suburb of Blackburn has arisen, with a large corner site being listed. The opportunity comes after Colliers International’s Hamish Burgess and Jeremy Gruzewski were chosen to sell the site for the current owners. There are already plans for the large area, with permits being given for the building of a 91-dwelling project, which will consist of 34 one-bedroom apartments, 52 two-bedroom apartments, five townhouses and space for 110 car parks. The property will be within access of the Blackburn Train Station, highways and nearby shopping centres. Mr Burgess said that recent amendments made to residential zoning, has made development sites with permits in residential areas highly attractive, due to the little land available for sizeable developments. 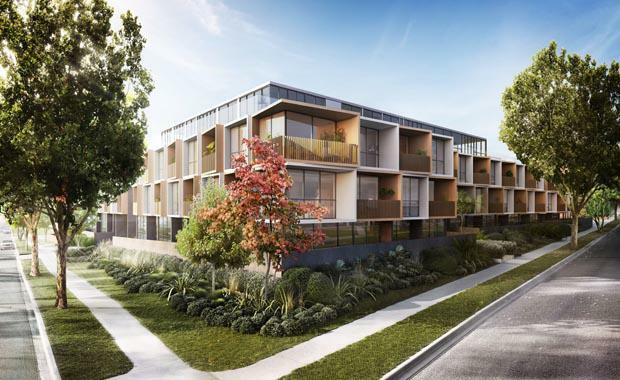 “The eastern suburbs, including areas such as Blackburn, Box Hill, Doncaster and Ringwood, are proving to be highly sought after by developers due to strong competition in the city fringe,” he said. “The opportunity to develop an iconic project within a tightly held area with both a strong median house price and an excellent profile rarely presents itself like this,” Mr Gruzewski said. The property is for sale starting Thursday the 23rd of October, 3pm.